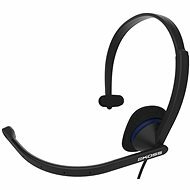 Mono headsets cover only one ear, leaving the other free, so you can communicate with colleagues or people nearby without having to remove the headphones. 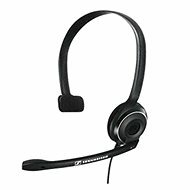 What should I look for when choosing a headset? 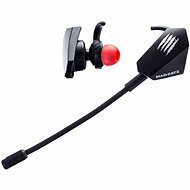 Wired headphones (3.5mm jack, USB) - compared with similarly expensive wireless heahphones, they offer better sounds quality but less freedom of movement. 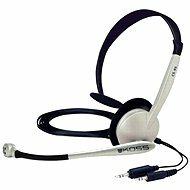 Wireless headsets (Bluetooth, radio frequency) - with no wires, they provide greater freedom of movement (Bluetooth headsets have a range of approx. 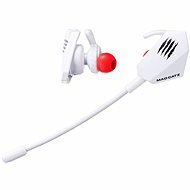 10 metres from the playback device; radio frequency up to 100 metres). Wireless headphones have built-in batteries and must be recharged.